Founded in 2004, Quail Springs Permaculture is a leading educational nonprofit stewarding a 450-acre, high desert permaculture farm and conservation site. We are dedicated to demonstrating and teaching holistic ways of designing human environments, and to facilitating deeper understandings of our relationships with ourselves, one another, and our local ecologies. We teach strategies and techniques for designing resilient environments and creating healthy and culturally vibrant communities. The residents and staff are a dedicated group of teachers, farmers, natural builders, inspired chefs, and land stewards who strive to further our nonprofit's mission through working, living, and teaching within the ethics of Permaculture: earth care, people care, and fair share. Our community focuses on providing top quality education through our courses; tending and rehabilitating the land which we inhabit; creating culture through food, music and farming; as well as performing outreach to people seeking regenerative lifestyles. We aim to provide fresh produce throughout the year for staff, students, and visitors to Quail Springs, as well as for our food-giving animals, and to maximize our harvest through various preservation techniques, such as cheese and yogurt making, pickling, and fermenting. 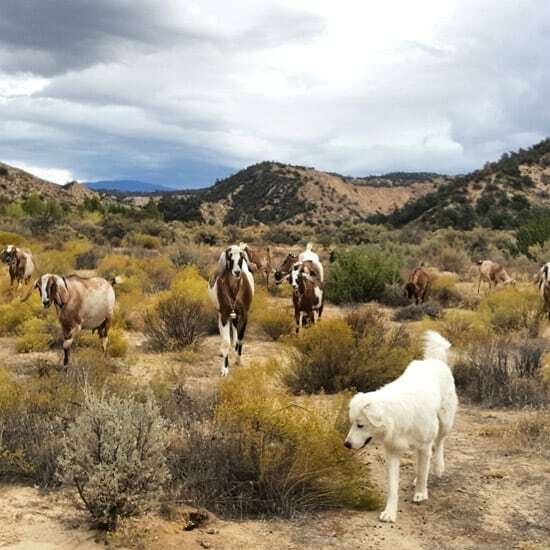 The animals on the farm currently include a 14 goat herd with 8 milking does, a flock of approximately 75 chickens, rabbits for meat and hides, a thriving bee colony kept with the top bar method, 2 farm cats, and 2 livestock guardian dogs (Great Pyrenees). We are conducting experiments in dryland agriculture and watershed restoration, and we continually endeavor to demonstrate regenerative land stewardship. Most importantly, we aim to provide new agrarians with knowledge of the landscape and healthy agroecological practices within the landscape to encourage the continuation of that caring stewardship. Participants are part of the team that is running the farm for the season. They are oriented into working on our Permaculture-based farmstead, living in intentional community, and supporting the endeavors of an educational nonprofit organization. Participants gain skill & understanding, and build confidence through regular hands-on, field-based training, as well as discussions. Throughout the 6-months, participants take on increasing responsibility in specific areas and have the opportunity to mentor others in skills learned. The goal is to gain practical, resilient homesteading skills, like no-till, dryland vegetable gardening, caring for goats and chickens, and baking bread in earthen ovens, all while fostering personal connection and growth in a supportive, community-based environment. The farm team meets twice a week to talk about farm tasks. Daily chores that are divided between farm team members include: milking goats, tending the rabbits and poultry, shepherding goats, watering and maintaining the greenhouses, irrigating annuals and perennials, cleaning animal pens, and working in the garden. These tasks, along with instruction, discussion groups, and other QS projects, generally occur in the AM and PM, leaving the lunch hours free for personal activities. This opportunity is for those deeply drawn to working and integrating long-term into community. Participants are fully included in Quail Springs community activities. This includes attending our regular Tuesday Town Meetings, assisting in hosting various courses and groups, signing up to cook dinner or wash dishes 2-3 times/week, and participating in regular communal tending, i.e. doing kitchen laundry, tidying & cleaning the various common spaces, chopping firewood, and other projects that come up. That said, farm and garden chores are a daily focus. To strive for balance, farm and garden work, instruction, and community tasks will roughly total 35 hours per week over 5 work days. Working early mornings will be regularly required. Cellphones do not receive service. And as a fully off-grid community in a remote location, our community phone and internet services are very limited. Furthermore, we are dependent on our photovoltaic panels. Consequently, we have to be flexible about which machines we use on cloudy days. If any of this is a concern please speak with us about what is available. Quail Springs is located near the tiny town of Cuyama, CA in the Upper Cuyama Valley in Southern California. The elevation is approximately 3,600', and the land is high desert, piñon-juniper woodland. Tucker's Scrub Oak, Great Basin Sage, Yerba Santa, Rabbitbrush, Ephedra, and many other high desert species inhabit the valley floor. The ruggedly beautiful Los Padres National Forest surrounds Quail Springs on three sides. The commitment lasts 6 months from the start date. We have several start dates throughout the year: June 1st, 2019; September 1st, 2019; December 1st, 2019; March 1st, 2020; June 1st, 2020. Check in with us as these dates are subject to change. We offer a sliding scale of $950 to $3000. This donation supports us during the first 3-months' worth of providing nourishing food, occasional field trips, and tools & materials. After the initial 3-month training period, participants tend to feel more acclimated. The second half of your stay is then considered work-trade. Also available to you are our facilities, camping space (your own gear), immersion into Quail Springs community life, hundreds of acres of beautiful wilderness, a reference library, a lively community atmosphere of various ages, a vast network of permaculture professionals, and what many have deemed a treasured, life-changing experience. We have priced this to be as affordable as possible to a wide range of people. As we are a nonprofit organization, the base amount reflects the actual cost to our organization. If you are able to donate more, it allows us to keep these kinds of experiences available to more people. If the cost stands in the way of your experience, please click here to apply for scholarship. We have limited scholarship funds available, and we will do our best to work with you! These funds and opportunities are awarded based on need, dedication, and readiness to use the skills learned from our site to benefit your community. We ask all visitors to adhere to our no drugs policy, and to smoke tobacco products only in the designated smoking areas as we are a high risk for wildfires. We understand that the use of cannabis is legal in many places, but we strive to maintain a cannabis free social setting. We realize that this means living at Quail Springs may not be a fit for everyone. We also ask that there be no public drinking of alcohol during our children’s courses and minimal/discreet alcohol consumption during all other courses in order to support those who may be challenged by the presence of alcohol. Unfortunately, we cannot allow any new pets at this time. Food & facilities costs are valued at $350/month per person. If you have the means we welcome your financial contribution to our non-profit. Once you begin, there is an initial 30-day trial period. During the trial period, program participants and the Quail Springs community can terminate the agreement without cause. The refund of the course fee during the 30-day trial period will be pro-rated based on the length of your stay, less the $350 deposit. Please take care to fully fill out your application so we may best get to know you. Once we receive your application, our staff will email you to confirm receipt. If your application is approved, we will set up interviews with potential candidates. We are hard-working farm folk, so please be patient with response time. But also don’t hesitate to check back in on the status of your application. The number of applications we receive continues to grow, and the number of available spots is small. Once a spot has been offered, we will ask for a $350 nonrefundable deposit to hold that space. Please let us know if you have any questions about this description, the curriculum, your work, or your stay here at Quail Springs.